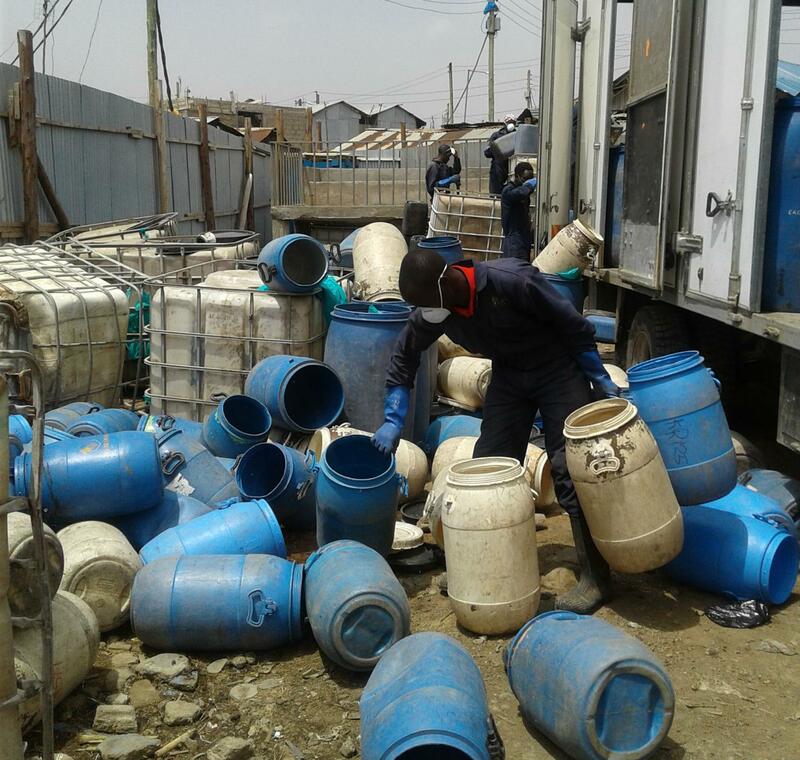 From then Sanegry has been working in slum areas of Nairobi, including Kwa Njenga, Mathare, Kwa Reuben, Makadara, Kamukunji, providing sanitation services. 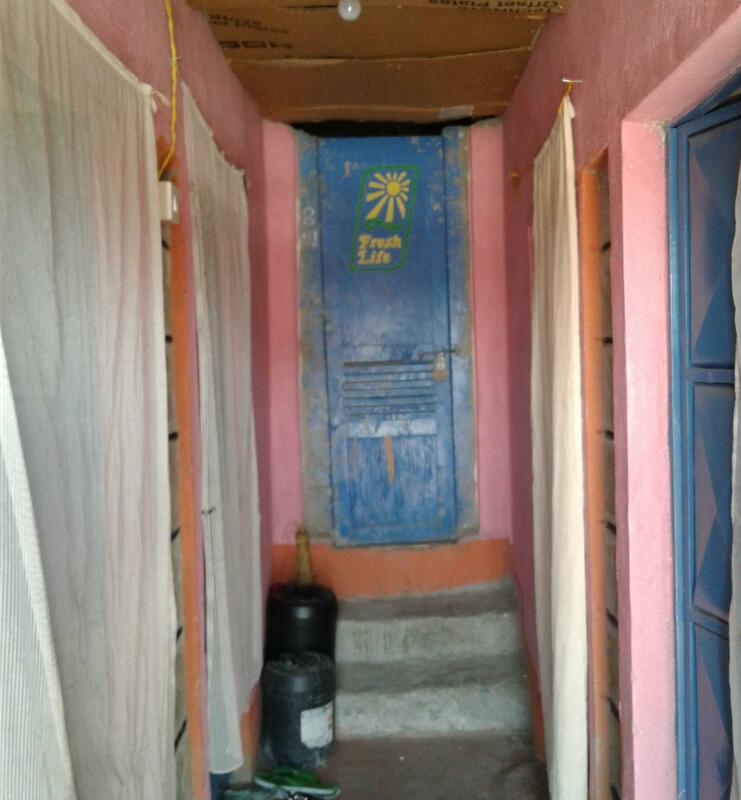 During my one month at Sanergy I was eager to understand how Sanergy is living to fulfil its brand name, Fresh life, and how can toilets bring fresh life, worst still in slum areas. With my little knowledge of slum areas in Nairobi, I wondered how a toilet which does not use water system for flushing can bring fresh life. I would like to take you through the process how Sanergy is living up to fulfilling its brand. 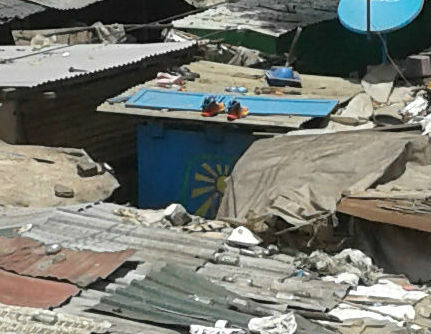 Before we go on this journey take a look at the sanitation crisis in Nairobi slum areas here. Some of the areas which Sanergy works in like Makadara, have public toilets which are no longer serviced hence can no longer provide good sanitation for the community. 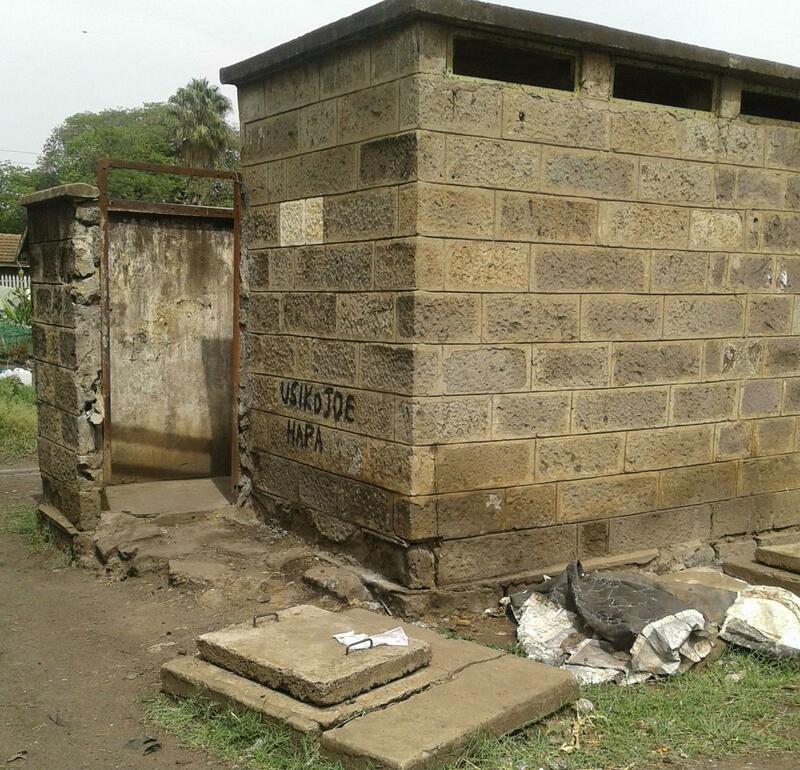 Poorly serviced toilets in slum areas-Usikojoe hapa means do not pee here! Also given the limited space in slum areas, they cannot afford to use a large portion of land to build toilets. Even the poor infrastructure cannot allow toilets inside their houses. However as much as the slum areas are squeezed and there is no space, one will find FLTs fitting in the limited space available. From the area view you can see how the FLT brightens the slum area with its blue colour and the sign of the sun raising showing freshness and hope from the toilets. So how does one become a Fresh Life Operator (FLO)? 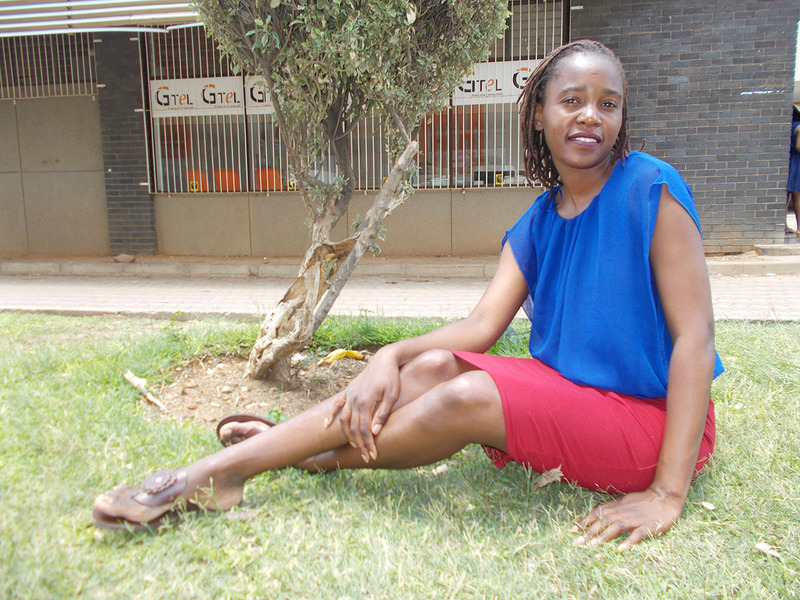 Click here to read about their stories. It takes the dedication of the sales associate team going around the slum areas and meeting with people like these FLOs. 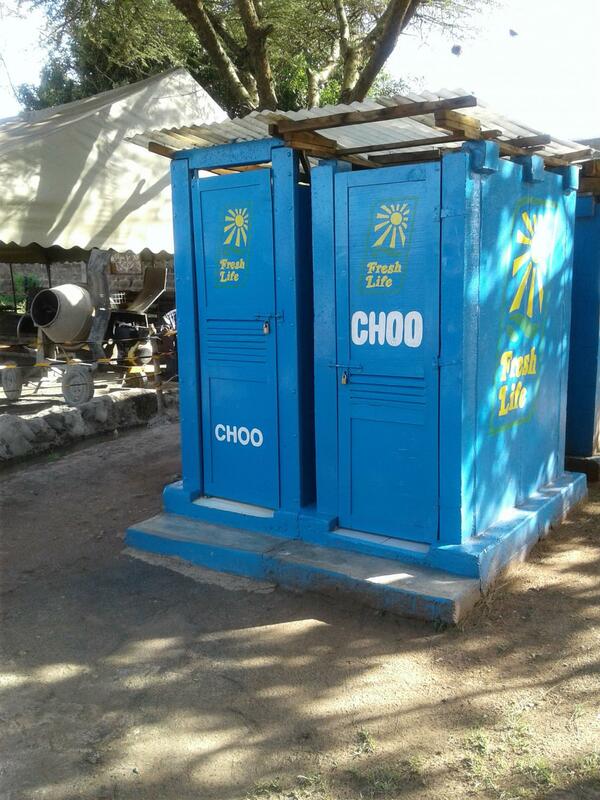 These FLTs are providing good sanitation in residential plots, churches, schools and market places. I also met some FLOs like Caroline and Josephine who are very happy to be providing good sanitation in their residential plots. The FLT measures length, 6 feet, width 4 feet and height 8 feet. Below is the standard FLT. See how fitting it is in the houses in slum areas. I also managed to visit one of the cleanest FLT owned by Jasper at his church. There are also instructions inside on how to use the toilets. 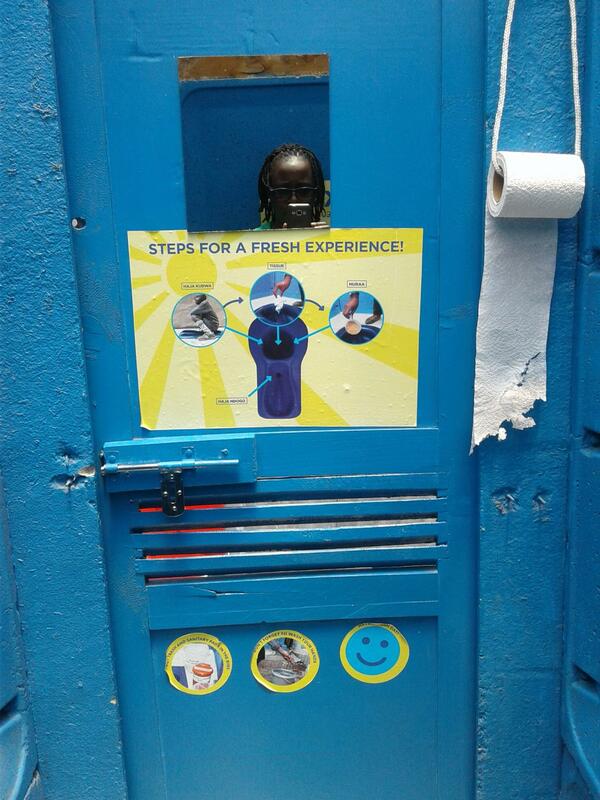 The instructions show how to use the toilet effectively so that the wastes can be collected separately. 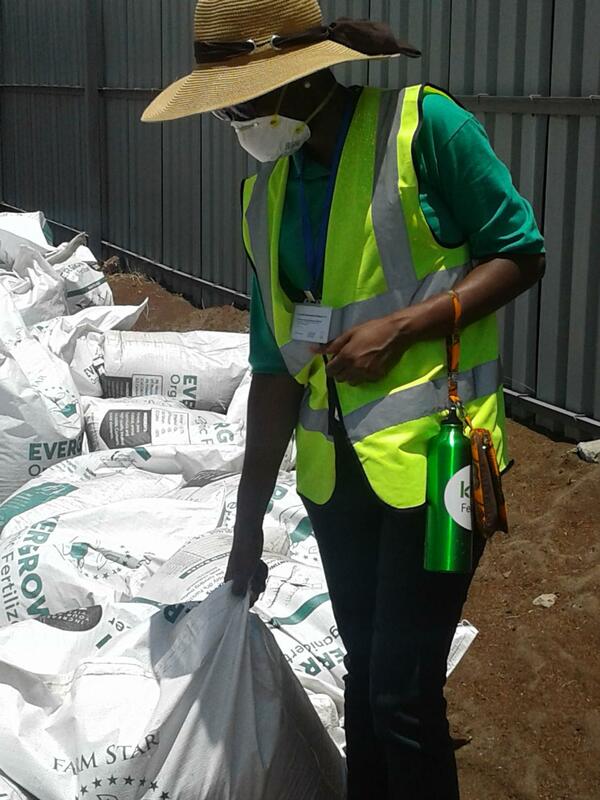 The waste are collected from the FLTs on a demand basis and delivered to the collection centre in Kwa Reuben. I met very dedicated team from the Collection Department who are also enabling Sanergy to meet its goal of providing fresh life in the slum areas. The faecal waste is then transported to Kinanie, the processing plant. 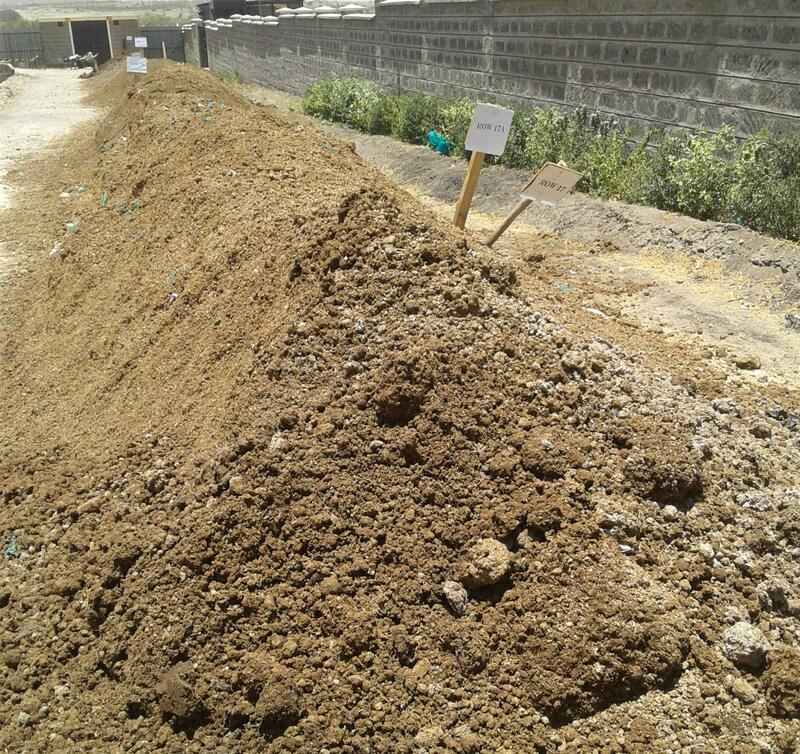 On a daily basis, a total of 7 tons of faecal waste is processed with a mixture of feedstock like corn cobs or chopped stick. 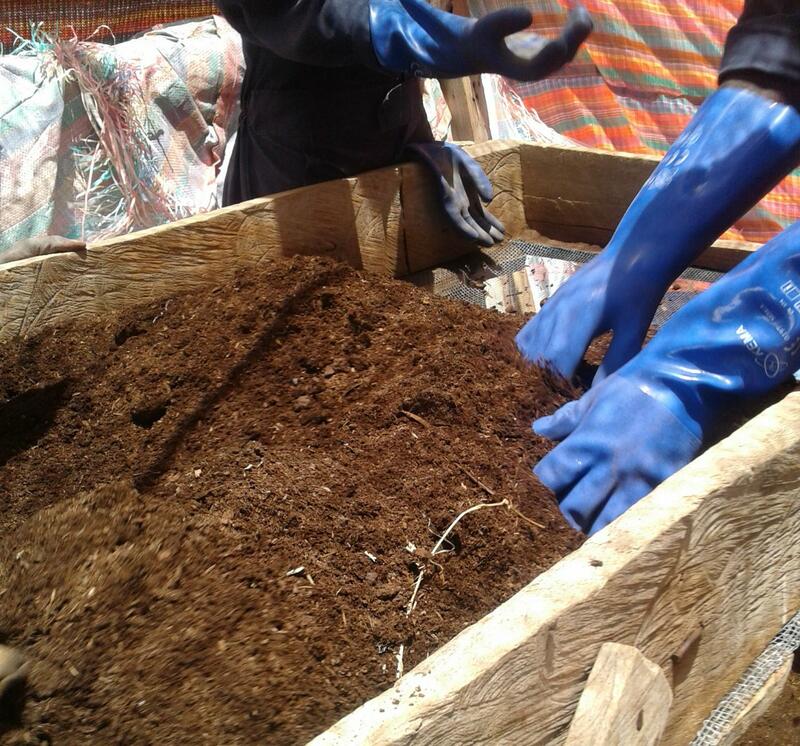 The end product from the mixture is then sieved and packed into 50 kg bags of fertilizer. 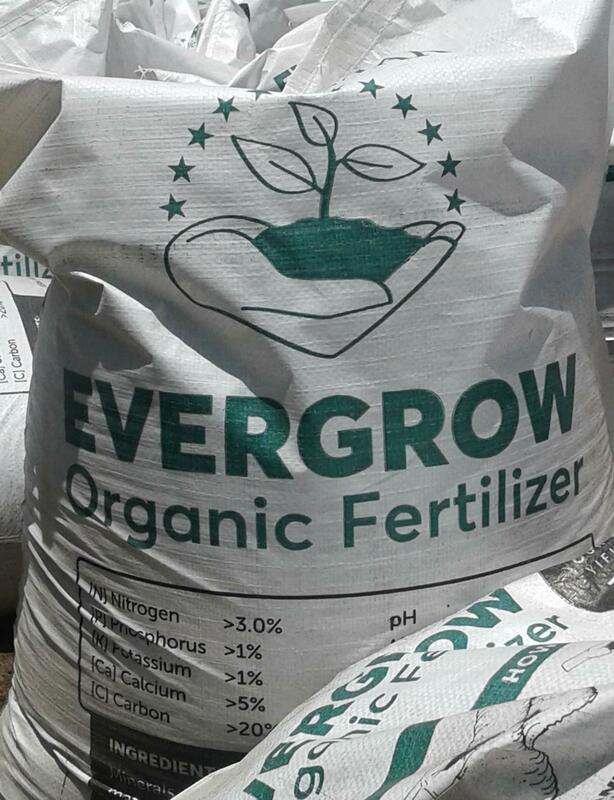 Below is a finished product of the fertilizer, the Evergrow Fertilizer. 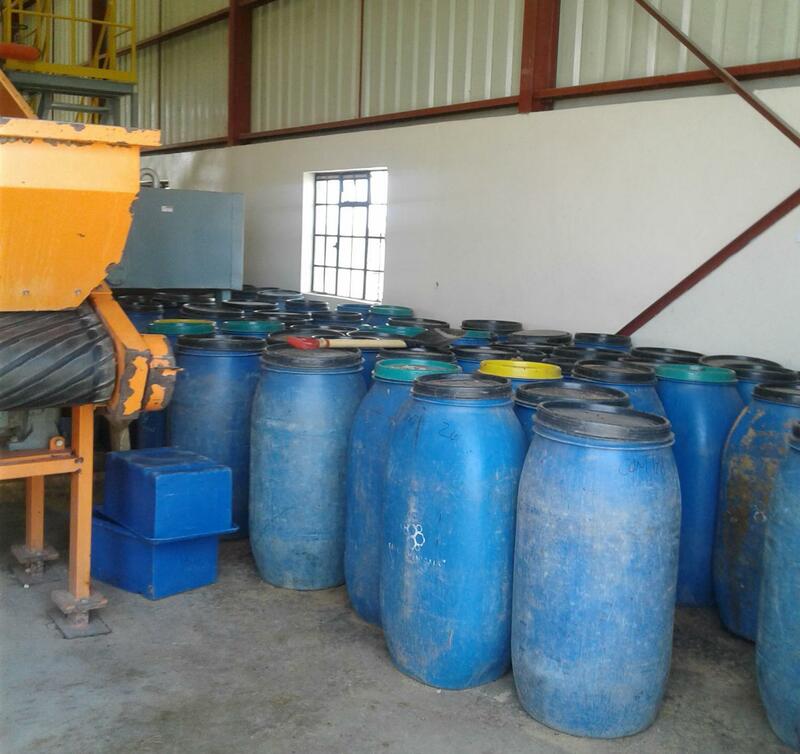 This fertilizer has been tasted to produce good yield for tomatoes, onions, and other herbaceous plants and more crops are being tested. 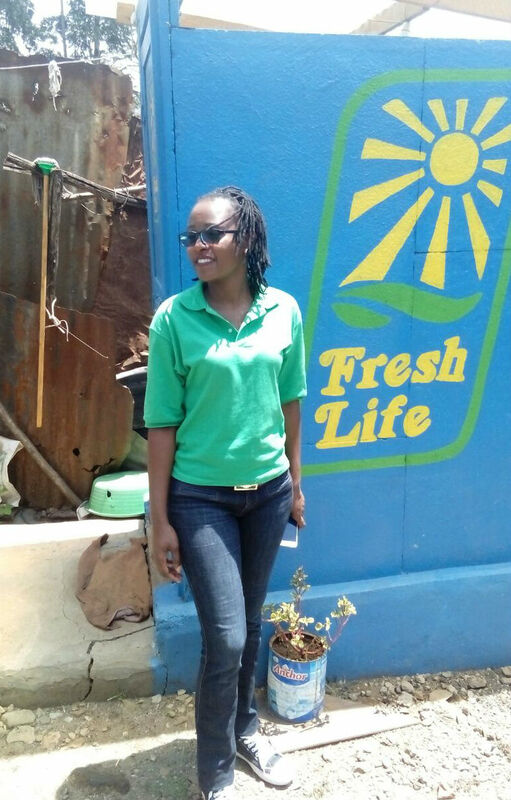 Truly, Sanergy is living up to its brand, ‘fresh life, live fresh’... turning faecal waste into fertilizer! 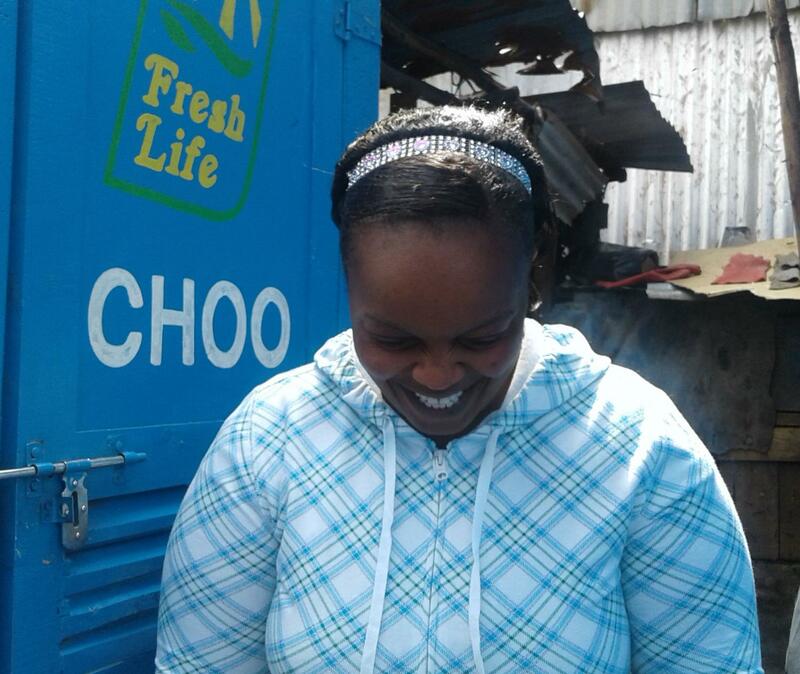 Join Sanergy and other Partners on Kiva and make a difference with a loan that changes lives.